Cellular signal booster manufacturer Wilson Electronics has purchased zBoost to leverage technical and marketing strengths while establishing a dual-brand strategy and preparing for global expansion. 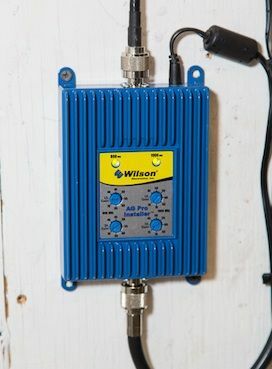 Wilson Electronics plans for international expansion with its cellphone signal boosters, an effort strengthened by its acquisition of zBoost. Founded in 2002 and headquartered in Atlanta, zBoost develops consumer and commercial cell phone signal booster kits. As the cell signal booster industry has matured slightly and continues to do so, “We saw an opportunity for some consolidation by acquiring one of our more substantial competitors,” Bob Van Buskirk, CEO of Wilson, in an interview with RS. In addition to being a growing and profitable company, zBoost was attractive to Wilson to support ongoing internal efforts to establish a dual-brand strategy, a result of retailer feedback for a better/best product offering. Wilson has also been focusing on international growth plans, initially in Asia. Currently, about 98 to 99 percent of Wilson’s business is in North America, where there are about 400 million cellular subscribers. Worldwide, there are about six billion. While the acquisition deal came together rather quickly, over the course of a few weeks, the two companies had been in discussions about the idea for a year, especially after the FCC ruling governing signal boosters in February 2013, which was prior to Wilson’s acquisition by Sorenson Capitol in May 2013. Read about the FCC ruling here. Other distinctions between the two brands include a significant business in mobile vehicle applications for Wilson, and manufacturing outsourcing for zBoost, another complementary element for Wilson, which manufactures all products from its St. George, UT, headquarters. Dealers participating in Wilson’s Certified Installer (WCI) program should not expect any changes in the near future, as both brands are active in this market. Wilson will be working to “harmonize” the zBoost product line with its own. In the future, there’s the option to establish one brand exclusively for the CI market and another for retail or direct to consumer markets, but “that’s something we’re still determining,” Van Buskirk said. Overall, “we expect this to be a very good year for us, both domestically and getting initial traction in Asia,” he added.